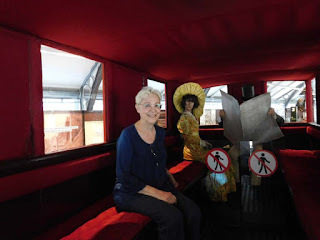 Last year, during my visit to the London Transport Museum, I encountered a form of public transportation I hadn’t paid much attention to previously. 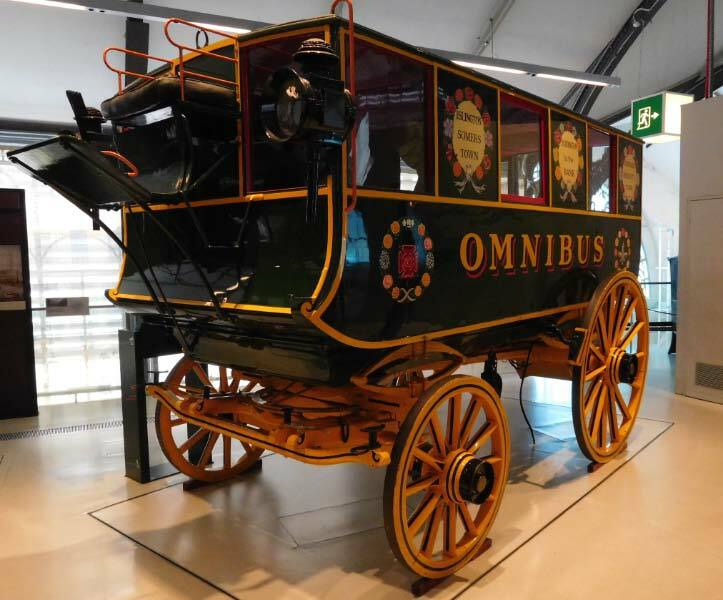 The omnibus was first introduced in Paris, and it was a Parisian coach-builder, George Shillibeer, who brought the concept to London. “The route which Shillibeer chose for his first omnibus was from the Yorkshire Stingo at Paddington, along the New Road to the Bank. 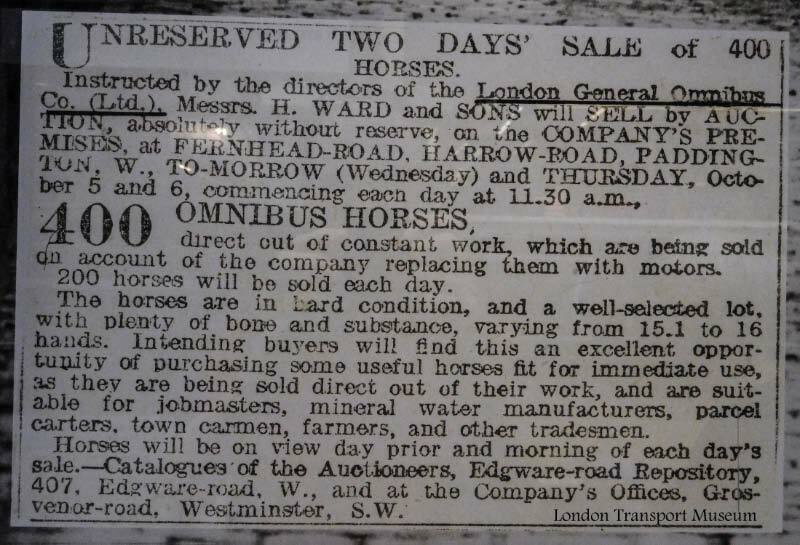 The New Road was the name by which Marylebone, Euston and Pentonville Roads were then known. 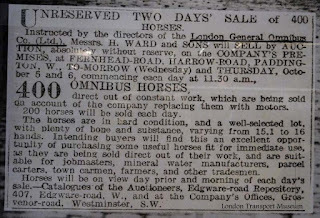 Anecdotes like this abound, including tales of theft by the paid conductors who soon replaced the gentlemen. Since space doesn’t permit me to quote at length, I recommend you read at least Chapter II of the first part for yourself. *Short-stage coaches, which had been in existence from the mid-18th century, ran—slowly, expensively, and unpunctually—from the suburbs to the City and the West End. Images: Photos of Loretta in omnibus at London Transport Museum, View of Exterior London Transport Museum Omnibus, and Announcement Marking the End of the Omnibus Era taken at London Transport Museum, copyright © 2018 Walter M. Henritze III. To some Londoners the crowning insult was when Shillibeer introduced his "Funeral Omnibus" - it was intended to serve the needs of small funerals by eliminating the need for extra carriages, and contained a compartment for the casket which could be collapsed into the body of the vehicle when not needed. It was widely lampooned.